1969 – Students from SUNY Albany started the “SUNY Albany Campus Bible Study”. 1972 – Pastor Yang Jian Guo, his wife, and a few brothers and sisters started the Albany Chinese Christian Church (ACCC). 1986 – Some members of SUNY Albany Campus Bible Study started the New York Capital District Chinese Christian Mission. 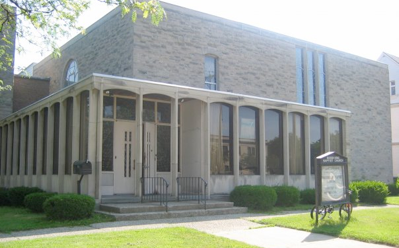 1988 – The Albany Chinese Christian Church moved its services from the Loudonville Community Church building (374 Loudon Rd, Loudonville) to the Madison Avenue Baptist Church building (901 Madison Ave, Albany). 1991 – The Albany Chinese Christian Church became a member of the American Baptist Church. Its formal name became Chinese Christian Church of Greater Albany (CCCGA). – On June 23, church members voted for Chen Qing Fang to be the pastor. 1998 – On March 29, Chen Qing Fang preached his last sermon and moved to Taiwan to serve in a Presbyterian church. 1999 – On March 28, church members voted for Hsia Ming Liang to be the second pastor. He formally began serving in this position on July 1. 2001 – On September 9, church members voted for Philip Woodrow to be the Director of Youth/English Ministry. He resigned in June 2008 sensing from God that it was time for someone else to lead. 2009 – On January 18, the church voted for Michael Davies to be the next Director Youth/English Ministry. He began serving on March 15. 2010 – Michael Davies resigned in April and Philip Woodrow resumed the position of Director of Youth/English Ministry. 2015 – On November 8, the church voted for Ivan Yu to be the English Pastor. He officially began on June 1, 2016 after he served as a Pastoral Intern since 2014.